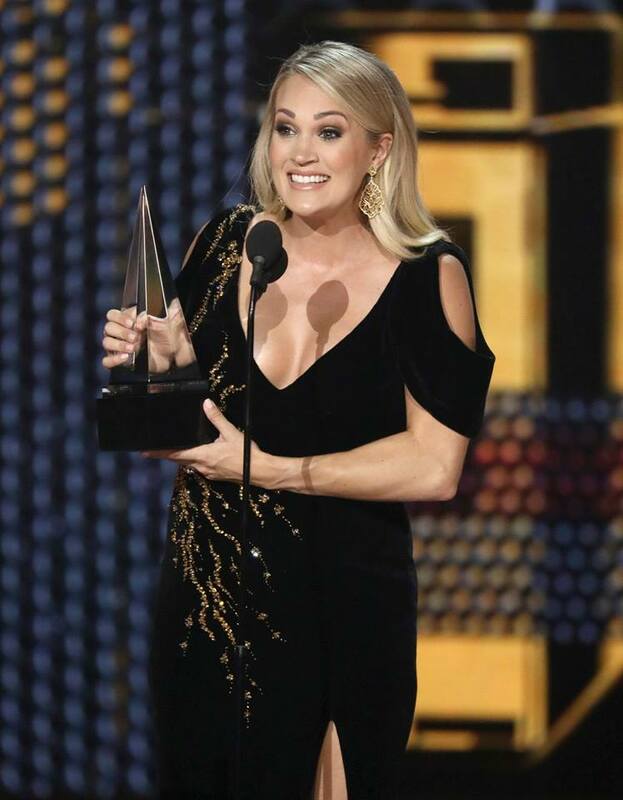 Winner of Favourite Country Artist at the 2018 American Music Awards, Carrie Underwood was an elegant and fashionable sight as she posed on the red carpet cradling her burgeoning baby bump. The songstress, 35, looked impressive in the black velour gown that had a plunging neckline to reveal ample cleavage and a slit up the thigh to show off even more skin. 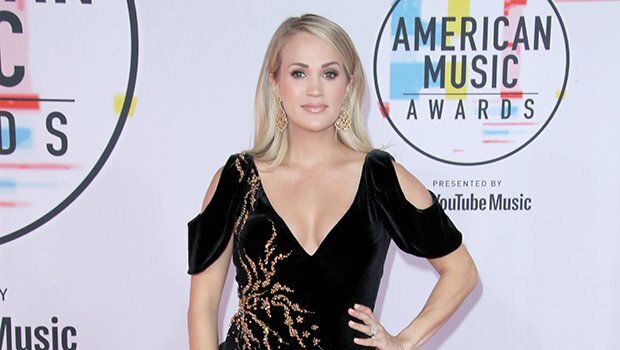 Carrie's dress also had golden embroidery and a small train, and the country artist added matching golden embellished pumps to her ensemble along with statement golden earrings. Carrie Underwood is pregnant with her second child after suffering three miscarriages in the past two years, and also went on to perform her latest single 'Spinning Bottles' at the award show.